Washington, D.C.- Over the past 48 hours, besieged East Ghouta has been subjected to an intense campaign of aerial bombardment, killing at least 260 civilians and injuring more than 600. 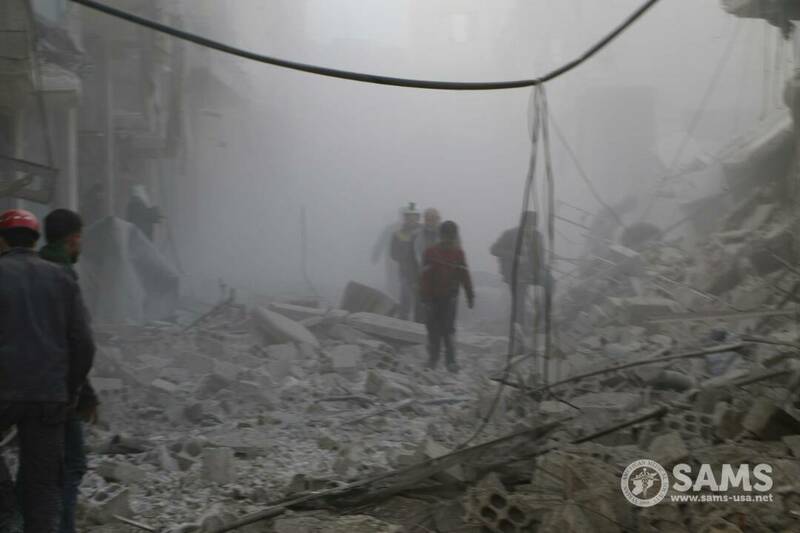 The 400,000 besieged residents have experienced a barrage of airstrikes, barrel bombs, and surface-to-surface missiles, weapons known to cause disproportionate loss and injury to civilians. 13 medical facilities have been targeted these past two days, four of which have been completely destroyed, while two are temporarily out of service. Four of these facilities were SAMS-supported. Tragically, SAMS lost two medical workers, Hicham Ayed, Mohannad Al-Marzouk, and Bushra Obeid as a result of these systematic attacks on medical facilities. SAMS expresses our deepest sympathies to the loved ones and colleagues of these brave medical workers. Thus far, in 2018, SAMS has lost nine members of its staff. Medical personnel continue to pay the highest price for their courageous and selfless efforts. “Hospitals are overwhelmed. Floors are overflowing with injured and blood. Those patients we discharged a couple of days ago are now back with more serious injuries…. 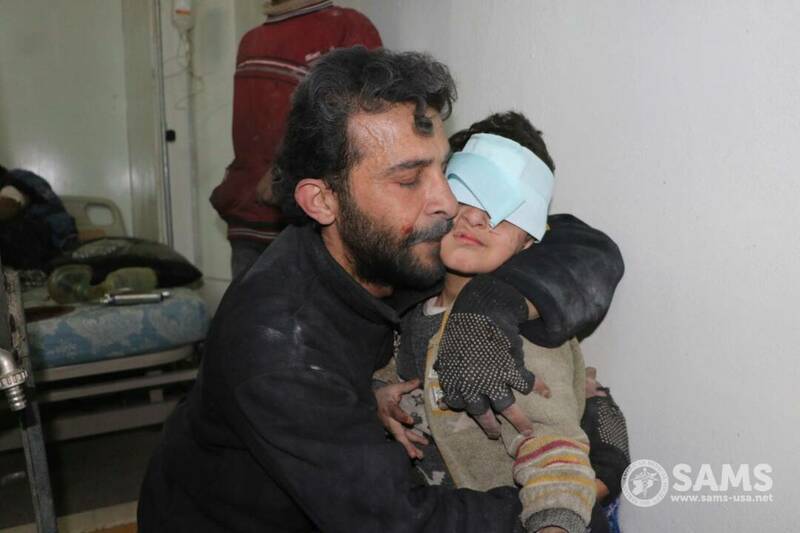 The word “catastrophe” can’t describe what’s happening in East Ghouta. Why do we continue to let children die before our eyes? 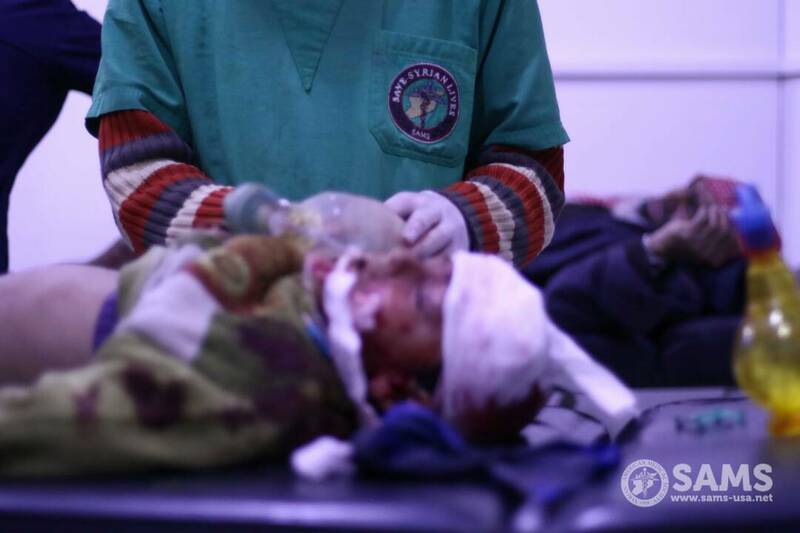 What have we done to deserve this?” said a SAMS doctor in East Ghouta. Today at 5:00 pm local time, a SAMS-supported hospital in Arbin was directly targeted by aerial attacks, including barrel bombs. The hospital’s entry points, as well as the pharmacy, were directly hit. These airstrikes continued to relentlessly target the vicinity of the hospital for five hours, also directly hitting ambulances. At least 300 patients and medical staff were trapped inside the facility, as the staff moved patients to a safer area within the hospital. These targeted attacks on hospitals have crippled an already-devastated health system. In East Ghouta alone, there have been 29 attacks on healthcare, with 9 health workers killed, in addition to three chemical attacks since the beginning of the year. The interagency aid convoy which entered East Ghouta last week failed to provide sufficient relief for the besieged population. There was only enough food supplies for approximately 7,000 individuals for 30 days, out of a population of 400,000. The medical supply situation is even worse, with one SAMS doctor reporting that many facilities lack even basic medication such as tylenol. Furthermore, this convoy did not include any medical evacuations of the 765 patients in urgent need of treatment. SAMS strongly condemns the ongoing and systematic aerial attacks on East Ghouta. SAMS also supports efforts by the UN Security Council to institute a cease-fire, which must also include the unhindered entrance of necessary humanitarian aid and the medical evacuation of critically-ill patients.